Light, healthy and utterly fresh-tasting, spring rolls are fun food—fun to make and eat. They promote togetherness, whether for a couple sharing dinner duties or for a family gathered in an assembly line around a kitchen island counter. 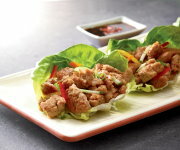 Casual and convenient, spring rolls can start or make a meal. Wrapped tightly in plastic wrap, they also travel well and can be taken to school or the office for lunch. Here’s how they work: Start with round rice paper, which are large, thin, flat noodle disks found in Asian food markets (and increasingly at food cooperatives and other grocery stores). They’ll turn soft and pliable when immersed in piping hot water. Pile on slivers of vegetables, skinny rice noodles, fresh herbs, and strips of cooked chicken, pork or eggs. Roll them up into hand-held cylinders and serve them with bottled plum sauce. 1. Bring a teapot of water to boil. Pour some into a pie pan or wide, heatproof bowl. 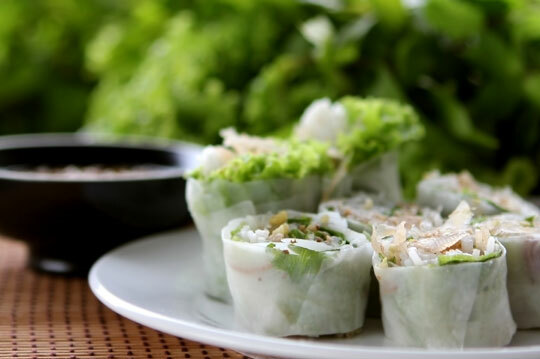 For each spring roll: Dip 1 sheet of rice paper into the hot water—the dough will quickly become pliable. Remove, let excess water drip off and place on large plate. Soak another sheet and partially overlap it onto the first. 3. Starting at the bottom edge, roll the assembly up over the filling, then fold the side edges up and over the filling and tightly roll up the spring roll the rest of the way. Reheat the water, or add additional hot water to your supply as needed while assembling the rest of the rolls. 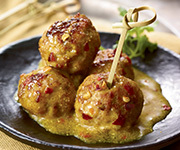 Serve at room temperature or chilled, with plum sauce.